The HP Proliant BL460c G7 is a half height, powerful blade offering the perfect blend of performance, scalability and expandability, supporting up to two Quad Core or Hex Core Intel Xeon 5500 or 5600 series CPU's. By packing two processors, two SAS/SATA HDD or SSD drives managed by the P410i RAID card and up to 384GB of DDR3 RAM this blade gives IT managers a singular platform that can handle almost any business, virtualization / hypervisor or large database application. Server management has never been easier with iLO3, this allows you to proactively manage your BL460c G7 BladeSystem with features which allow you to cap server power, automatically capture video footage and allows for global team collaboration for multiple users, just to name a few. Designed for large data centres, mainstream mid-sized datacentres and branch offices, the refurbished BL460c G7 is a truly flexible server which is simply maintained and configured. The converged networking ability of the BL460c G7 allows you to consolidate multiple technologies into pools which allows for greater flexibility with future expansion. A plethora of networking mezzanine cards are at your disposal with the BL460c G7 blade, options such as the NC553i FlexFabric 10GbE Network Adapter make for being a cheap reliable option. 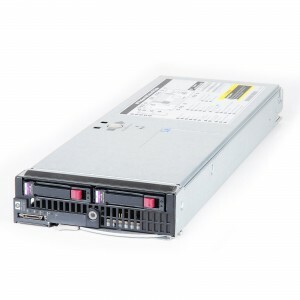 At Bargain Hardware we understand that complex business requirements vary from one customer to the next, that’s why we allow you to build your own refurbished HP BL460c G7 to meet your specific performance or budget preferences. Use our Configure-To-Order hardware options to select your desired configuration.